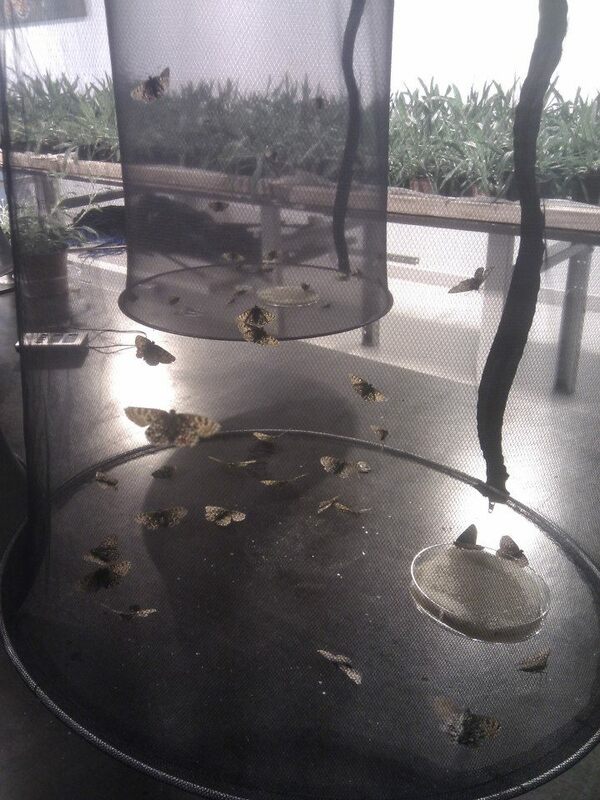 At the beginning of August I attended the international butterfly behavior conference (ICBB2014) in Turku. This was my first time at this conference as I admit I wasn’t even aware it existed until this year! In my defense, I’ve never worked on butterflies (and in fact still don’t!) but thankfully it seems standards are slipping and they now happily tolerate moth researchers in their midst. Despite the slight mismatch, it was a really good opportunity for me to catch up on what’s going on in the field, and get a better handle on the biology of my new system; butterflies being a lot closer to moths than bugs are! I am now also better acquainted with the rockstars of the butterfly world. 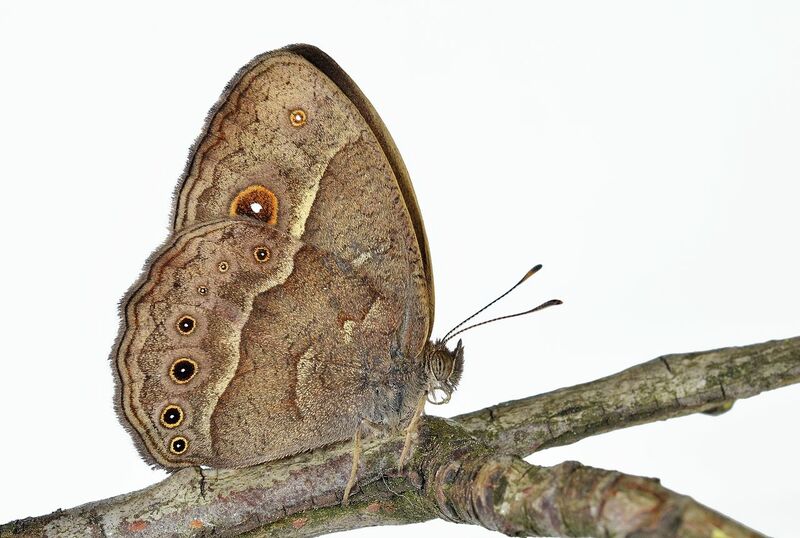 I was already aware of the extensive ongoing work on Heliconius thanks to various entomology and genetics conferences, but I never realised the sheer amount of cool work on Bicyclus anynana (other wise known as the squinting bush brown). The Glandvill fritillary, famous for it’s use in the study of meta populations, was also well represented. This at least was one system I was already familiar with, having visited the home of the Glanville Fritillary Project at Lammi back in April (we were there to check out their impressive butterfly-rearing facilities). From the perspective of my current work on the maintenance of polymorphism in aposematic systems there were a lot of very relevant talks, but Erica Westerman’s talk, in particular, on biased mate-preference learning got me thinking more on the role of learning in reproductive interference as well. Female Bicyclus anynana. Photo taken by Gilles San Martin. From Wikimedia Commons. So overall it was a very useful and enjoyable experience for me. That said there were moments when I felt very much like an outsider. I’m sure this is hardly an uncommon experience when attending a meeting for the first time, or moving into a slightly different system. For me this feeling tends to surface more at small meetings and in this case was probably made stronger by the references to the meeting’s long history and tight-knit community. To be clear, this is not a criticism. I’m certain the only intent behind these was to highlight both the success of the meeting, and the benefits it has, and will continue to bring, to the field. I wonder if I’m alone however in feeling subtlety excluded and, more importantly, how I can stop feeling that way. I think not having anything to present (either as a talk or a poster) certainly contributed. With a bit of luck I will soon have enough data to ensure I don’t find myself in that position again for quite some time. Still it seems my impostor syndrome hasn’t retreated quite as much as I thought. Bother. I don’t want to end this post on a down note though, so I will take this opportunity to mention the awesome Marimekko bags we got with our registration packs! As well as making fellow conference-goers easily recognisable, even from considerable distances, they have made those of us who went the envy of our whole lab group. 🙂 I’m still sad that the different colours were not, in fact, an experiment on density dependent selection (several people expressed a desire for the rarest colours). Maybe next time?